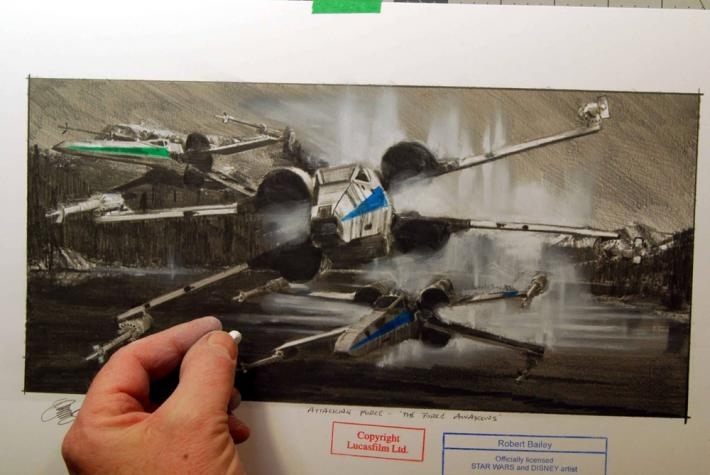 We’ve already seen some shots of the redesigned X-Wing fighters in the Star Wars: The Force Awakens trailer. We’ve also seen J.J. Abrams standing beside a mockup. We really haven’t gotten a detailed look though. 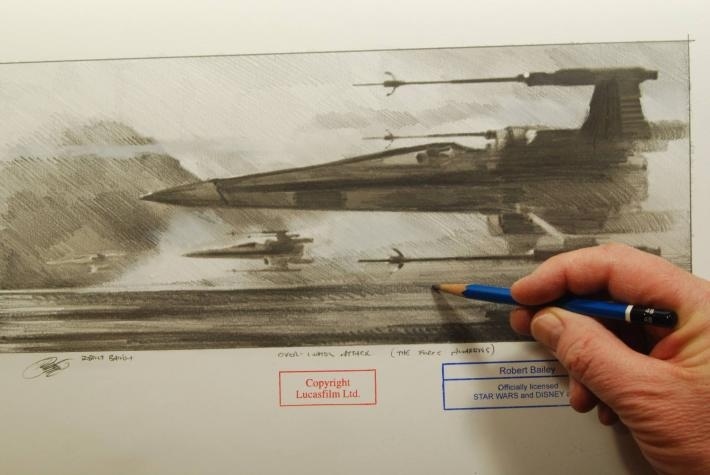 Well, here is another look at these rebel ships thanks to some official art courtesy of Lucasfilm and Disney illustrator Robert Bailey. We can see them from a few different angles here in these pencil and pastel drawings. 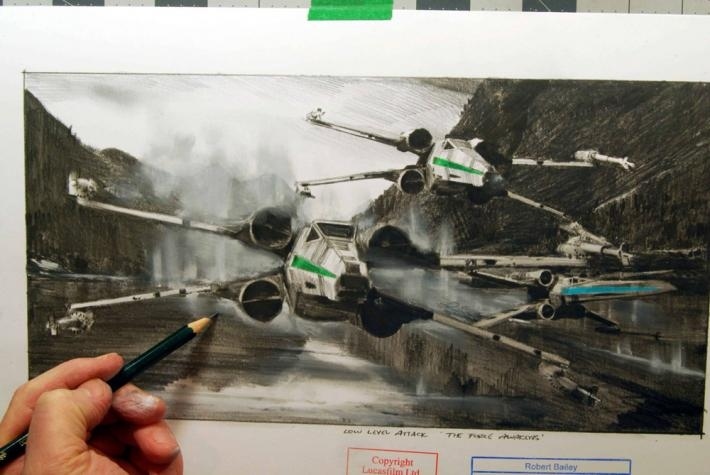 They show two squads of rebel fighters with green and blue colors and are based on actual concept art, storyboards and screen captures. They certainly ramp up my excitement for the new movie. The first and third sketches show the new single split-engine, scissor-wing design, while the second drawing has the old-school design. Maybe the new movie is using both models.